Once all the numbers were gathered the Canadian Baseball Network ballot process skidded to a halt. When it came time to slot the names and their numbers -- thanks to the yeomen work of J.P. Molinaro and Mike Chewpoy -- there was suddenly a question. What to do with Connor Panas? Should he be listed among the outfielders? Or should he be at third base? Or maybe even first base where he spent some of the season. A source close the Canisius College Golden Griff stats sheet had Panas pegged as spending more time at third base than any other position. Whatever the pre-ballot considerations, the 45 voters had zero problems with Panas once the ballots went out. Panas received 33 first-place ballots to earn Canadian Baseball Network Canadian college player of the year honors, the best of the 850 Canadians playing the majority of their college schedules south of the border. He had three more first than C Chris Robinson (Uxbridge, Ont.) of Morehead State. The Canisius junior also was voted the CBN First Team third baseman. Panas helped the Griffs win the Metro Atlantic Conference for coach Mike McRae and advance to the NCAA field of 64. He hit .372 with 17 doubles, seven triples, 11 homers and 68 RBIs in 64 games. He was 19-for-23 stealing bases and had a 1.104 OPS. Panas earned MAAC Student-Athlete of the Year honors in a vote of the league’s sports information directors. He also won this award after the 2014 academic year, is the third male in conference history to earn the honor in back-to-back years. Panas, a 2015 American Baseball Coaches Association/Rawlings NCAA Division I All-America Third-Team choice, the 2015 MAAC Championship MVP and an All-MAAC First-Team selection, led the conference in five different offensive categories and he became the second player in program history to earn MAAC Championship MVP accolades after he hit .500 (13-for-26) with three extra-base hits and 12 RBIs in six games during the conference tournament. He became the first in program history to hit a home run in an NCAA Tournament game when he went yard in the top of the first against No. 8 Missouri State. Panas earned his undergraduate degree in physical and health education with a 3.80 grade point average. A three-time MAAC All-Academic honoree, Panas became the second player in program history to earn CoSIDA Capital One Academic All-America status in back-to-back years, earning first-team honors in 2015. _ 2B-OF Craig-St. Louis (Gatineau, Que.) Seminole State Trojans. _ LHP Ryan Kellogg (Whitby, Ont.) of the Arizona State Sun Devils. _ OF Chase Larsson (Vancouver, BC), of the Cameron Aggies in 2011. _ OF Marcus Knecht (North York, Ont.) of the Connors State College Cowboys in 2010. _ DH Mike Gosse (Pitt Meadows, BC) of the Oklahoma Sooners in 2008. _ 1B Kevin Atkinson (Surrey, BC) of the New Mexico Jr. College Thunderbirds in 2007. — OF Jon Baksh (Mississauga, Ont.) of the Florida Tech Panthers in 2006. — 1B Karl Amonite (Woodslee, Ont.) of the Auburn Tigers in 2005. — OF Charlie MacFarlane (Lantzville, BC) of the Cumberland Bulldogs in 2004. _ C Aaron McRae (Delta, BC) of the LSU-Shreveport Pilots in 2003. _ OF Ryan Kenning (North Vancouver, BC) of the New Mexico State Aggies and RP-SS Jesse Crain (Toronto, Ont.) of the Houston Cougars, who shared honours in 2002. _ LHP Jeff Francis (North Delta, BC) of British Columbia Thunderbirds in 2001. — And OF Ben Emond (Farnham, Que.) of Texas Longhorns, in 2000, our inaugural year. The 68 RBI Panas had were the second most of the Canadians playing south of the border -- Morehead State catcher Chris Robinson led with 69, while Panas had two more than Billy Germaine of Southern Arkansas. Our voters included … 14 coaches, from elite programs to colleges on both sides of the border; 11 writers (seven from the Canadian Baseball Network) and others who write about college ball nine scouts, seven suits (executives, front-office staff), two broadcasters and one former player. Our electorate came from seven different provinces and six states. Voting was done on a 5-3-1 basis. Left-hander _ Jeff Degano (Surrey, BC) Indiana State Sycamores. How good was Degano this season? Well, only 56 players in North America were taken ahead of him in June. The lefty went in the second round of the draft as the 57th overall pick to the New York Yankees. Degano was 8-3 record with a 2.36 ERA in 15 starts for Indiana State, the 10th lowest single season ERA in ISU history. He tied a school record striking out 126 hitters in his 99 innings pitched and held opponents to a .216 batting average. Degano’s career ERA of 2.84 is the lowest of all-time at ISU among qualified pitchers. He had six 10-plus strike out games in his career, tying him for second most all-time. In 2013, Degano started three games for Indiana State before suffering a season-ending arm injury as went 0-1 with an 8.31 ERA, pitching 8 2/3innings. Before that he pitched two seasons at Marshalltown making 16 starts, going 8-5 with a 3.80 ERA fanning 98 in 71 career innings. Degano led in strikeouts among Canucks, 11 more than Connor Lillis-White of UBC. Degano was dead even with Lillis-White with 99 innings, 16 behind Arizona State’s Ryan Kellogg. Degano, who played with the White Rock Tritons and coaches Brent Swanson, Darcy Sidhoo and Adam Ladouceur, earned Canadian Baseball Network Honorable Mention in 2011. Right-hander _ Alex Webb (Surrey, BC) UBC Thunderbirds. Webb finished the year 10-3 record, a 2.15 ERA over 88 innings. He gave up 69 hits and 22 walks while recording 97 strikeouts. His 10 wins this season were the fourth-most in a single campaign by a UBC pitcher. He recorded wins over Oregon Tech (twice), Concordia-Portland (twice), Thompson Rivers, Redlands, Simpson, Idaho, Corban and Northwestern Ohio. Webb was named the NAIA West Group Pitcher of the Year in the 2015 and earned a place on the Capital Academic All-America® College Division Baseball Team as chosen by the College Sports Information Directors of America (CoSIDA). He has a cumulative GPA of 3.64. Webb pitched for coach Russ Smithson and the White Rock Tritons. Reliever _ Curtis Taylor (Port Coquitlam, BC) UBC Thunderbirds. Taylor, 4-2, had a team-best ERA of 1.02 and ranked fifth overall in the NAIA with 12 saves. He pitched 53 innings, giving up 27 hits and six earned runs. Taylor struck out 51 batters and walked 13. Taylor earned a place on the NAIA Baseball All-America Honourable Mention team last spring, one of 34 players to garner the recognition. Opponents batted .153 against Taylor, who won both starts he made. He was the lone relief pitcher named to the All-NAIA West team. In the NAIA West Grouping championships, Taylor picked up two wins and a save in three appearances over four days. In the second grouping championship game, he threw four scoreless in relief to propel UBC to the league title. Taylor pitched for the Coquitlam Reds and coaches Bill Green and Shawn Bowman. Catcher _ Chris Robinson (Uxbridge, Ont.) Morehead State Eagles. Robinson helped the Eagles to the OVC Tournament title, their first since 1993, and MSU’s first NCAA Regional appearance since 1983. He ranked second nationally in hits (99) and runs (78), third in total bases (161), sixth in RBIs (69) and doubles (25) and eighth in batting average (.402). He established the school single-season record for hits and owned a .654 slugging percentage and a .472 on-base mark. Robinson drove in five runs in a game twice and was 5-for-5 with four runs and four RBIs in a victory over SIUE. He also hit for the cycle against Murray State. Robinson led the OVC with 20 multi-RBI games this season and was second in the league with 28 multi-hit contests. The Ohio Valley Conference Player of the Year paced the OVC in average, hits, runs and total bases, while ranking third in doubles and RBIs. Not to be confused with C Chris Robinson (London, Ont.) who attended Illinois, honors were not at a shortage for this Robinson: Louisville Slugger/Collegiate Baseball First-Team All-American, a Second-Team All-American by the National Collegiate Baseball Writer’s Association and a Second-Team All-American by the American Baseball Coaches Association/Rawlings. Robinson had the fifth highest average among Canucks behind David Schlosser (.425) of Bard, J.P. Rousseau (.420) of New Mexico Jr. College, Kevin Czarnecki (.415) of Fort Hayes and Bill Steven (.407) of UVA-Wise. After playing for Danny Thompson and Marc Picard with Team Ontario, Robinson earned Canadian Baseball Network Honourable Mention honors in 2013-14 and Third Team honours in 2012 when he was at Louisburg College. First base _ INF David Marcus (Whitby, Ont.) California University of Pennsylvania Vulcans. The Vulcans cleanup hitter, tied the single-season school record with 15 homers and broke the single-season school mark of 62 RBIs. He also set career bests with a .391 average (61-for-156) and a .769 slugging mark, which was over a 300-point improvement from his sophomore campaign. Marcus also scored 41 runs while hitting cleanup in all but four games his season. He received All-PSAC West honors for a second consecutive year after garnering second-team accolades as a DH in 2014, American Baseball Coaches Association (ABCA)/Rawlings all-region-teams Second Team honors. His summer might have been better than his spring as Marcus was selected both the Mike Schmidt Player of the Year and the Roland Hemond Pro Prospect of the Year in the Prospect League. Playing with the Butler BlueSox he led the league and set a franchise record with 11 homers while driving in 49 runs. He finished fourth with a .363 average (81-for-223), led with 18 doubles, 30 extra-base hits, 134 total bases and a .601 slugging percentage. Marcus was fifth in RBIs among Canadians behind Chris Robinson (69) Morehead State, Connor Panas (68) Canisius, Billy Germaine (66) Southern Arkansas and Brett Siddall (63) Canisius. Marcus, who played with the Toronto Mets and coaches Ryan McBride and Rich Leitch, earned Canadian Baseball Network Honourable Mention in 2013-14. Second base _ Chris Thibideau (Dartmouth, NS) Midland Chapparals. The big bat from the Maritimes had 13 doubles, a triple, 13 homers and 52 RBIs for the Chaps. He finished with an .988 OPS, while hitting .340. In his two years at Midland he hit 27 homers combined ... so does that make him the biggest bopper from Nova Scotia since Darren Doucette, who played three seasons in the St. Louis Cardinals system (1992-94) and continued to punish pitchers in senior ball? At Midland, he hit .323 as a freshman and .340 as a sophomore as his 14 home runs as a freshman were tied for the second most in the country. That season earned First Team WJCAC honors in 2014. Thibideau, who spent three years playing for coach Les McTavish’s Vauxhall Academy and was named 2013 Jet of the Year, he earned Canadian Baseball Network First Team honors in 2014. For the season, he posted a .632 slugging percentage, a .472 on-base mark and he ended the year fifth in the MAAC with 19 stolen bases on 24 attempts. Panas was chosen in the ninth round (272nd overall) by the Toronto Blue Jays scout Jamie Lehman, making him the highest draft pick for the Canisius program since 1994. He played for the Vancouver Canadians in the Class-A Northwest League. One of four MAAC Student-Athletes of the Year in Canisius’ history, Panas joins with former Iona cross country/track runners Richard Kiplagat (2004-05 and 2005-06) and Mitch Goose (2011-12 and 2012-13) as the only male student-athletes to win the award in back-to-back years since the honor was started in 2001-02. Panas joins with former Canisius ball player Sean Jamieson (2010-11) as the school’s two-time MAAC Male Student-Athlete of the Year award winners. Panas, who played with the Toronto Mets and coaches Ryan McBride and Rich Leitch, earned Canadian Baseball Network First Team honors in 2014 and Honorable Mention 2012-13. Shortstop _ Daniel Pinero (Toronto, Ont.) Virginia Cavillers. The knock on Pinero going into the season was the way his scouts questioned his mobility at short and they were unsure he had enough power to survive playing the corner. So, he went out and hit six homers after hitting none his freshman season. On the season he batted .308 with eight doubles, a triple and 29 RBIs with an .828 OPS stealing nine bases in 11 tries. He led the team in steals and sacrifice bunts (14). He was durable as a Clydesdale playing in 67 of 68 games -- his streak of 82 consecutive starts at stop snapped April 22 after being hit in the chin with a pitch. Pinero had the go-ahead, two-out, two-run single in eighth inning of win over Richmond, was 3-for-3 and matched career reaching five times in win at Notre Dame and recorded career-high four hits, including home run, in win over Pitt. He homered and drove in career-high four runs against Georgia Tech in ACC tourney. At the College World Series in Omaha he hit .391 (9-for-23) scoring four runs with .462 OBP (team highs). Pinero went 3-for-4 with three stolen bases in CWS opener, was 5-for-10 in UVa’s three games against Florida. He earned a spot on All-College World Series Team, was named Second-Team All-ACC and was named to Brooks Wallace Award Watch List (nation’s top SS). Pinero, who played for coach Dan Bleiwas and the Ontario Blue Jays, was awarded with Canadian Baseball Network 2014 Second Team honors. Outfield _ Tristan Graham (North Vancouver, BC) Northeast Texas Eagles, Brett Siddall (Windsor, Ont.) Canisius Griffs and Billy Germaine (Aldergrove, BC, Southern Arkansas Muleriders. Graham batted .431 with 12 doubles, two triples, 13 homers and 47 RBIs with an 1.137 OPS. He was tied for third in homers by Canucks with Midland’s Chris Thibideau, two behind David Marcus of Cal-Pennsylvania and one back of Columbia State’s Julian Johnson. He had seven three-hit games: with a run-scoring double in an 11-3 win against Cedar Valley, doubled, homered and knocked in six runs in a 12-0 win over Pratt, tripled, hit two homer and knocked in five runs in a 14-12 triumph against at Grayson, homered three times and knocked in eight runs in a 14-3 win against Navarro, doubled, homered and knocked in a pair of runs in an 8-7 loss to Panola, doubled and drove in a pair of runs in a 12-6 win against Bossier Parish and had three hits including a double in a 8-7 loss to San Jacinto. Selected in the 22nd round he signed with the Baltimore Orioles. Graham is a graduate of the North Shore Twins and coach John Haar. Siddall batted .341 with 23 doubles, a triple and 12 homers, knocking in 47 runs for coach Mike McRae’s Griffs. He had a .980 OPS. In his best statistical season Siddall slugged .590, an on-base percentage of .390 and stole six bases on seven attempts. In the team’s 8-7 win over top-seeded Rider in the MAAC championship, his eighth-inning grand slam helped push the Griffs to an elimination game victory, and he closed out the MAAC’s postseason tournament by batting .440 (11-for-25) with five doubles, a home run, six runs scored and eight RBIs in six contests. Siddall posted career numbers of a .339 average (182-for-537), 42 doubles, six triples and 16 home runs, including a career-high 12 in 2015. He ranked in the top-five in the MAAC in five different offensive categories, and he was the MAAC’s leader in doubles and homers this season. His 24 extra-base hits in 2015 ranks first in school history for a single-season and he ends the regular season tied for 10th nationally in doubles. The honors rolled in: MAAC Player of the Year, All-MAAC First-Team selection, American Baseball Coaches Association Division I Northeast All-Region First-Team and American Baseball Coaches Association (ABCA)/Rawlings NCAA Division I All-America Third-Team honors. Siddall who played for Windsor Selects coaches Chris Soulliere and Joe Siddall, earned Canadian Baseball Network Honourable Mention honors in 2013 and was a CBN Second Team in 2014. Germaine hit .338 with 17 doubles, two triples, 12 homers and 66 RBIs with a 1,046 OPS. Sitting in the heart of the Mulerider lineup with 67 hits and a team-leading .420 on-base percentage. The power hitter finished the regular season in the top five in seven offensive categories in the Great American Conference including sacrifice flies (first), RBIs (second), home runs (second), total bases (second), runs scored (second), walks (second) and slugging percentage (fourth). The Hill Junior College transfer was third among Canucks with 66 three behind Morehead State’s Chris Robinson and two behind Connor Panas of Canisisus. Germine played for the Langley Blaze and coaches Jamie Bodaly and Doug Mathieson. DH _ Conner Stevenson (Keswick, Ont.) of the Connors State Cowboys. Stevenson batted .314 with 10 doubles and 10 homers knocking in 48 runs in 46 games. He had a .966 OPS. He homered and knocked in three runs in a 23-0 walk over against Bacone, knocked in a pair in a 7-4 win over Mineral Area, hit a solo homer in a 3-2 loss to Lake Land, went deep knocking in three runs in a 12-7 loss to Ellsworth, knocked in three in an 8-6 win against Iowa Central, plated three in an 18-10 win against Coffeyville, again drove home three in an 8-0 win against Southwestern Christian, plated four in a 12-4 win over Rose State and hit two solo shots in a 14-7 win against Northern Oklahoma Enid. He had such a good year he transferred to Indiana Tech. Stevenson played for the Ontario Blue Jays and coach Danny Bleiwas. Kellogg is one of eight Sun Devils in school history to earn First Team All-Pac-12 honors three consecutive seasons. His 28 career wins rank 10th in school history, including fourth among left-handed pitchers. He joined former New York Mets right-hander Craig Swan (1970-72) as the only two Devils to lead the team in wins in three consecutive seasons. His 3.50 career ERA ranks as the 11th-lowest in the aluminum bat era and his 62 career walks are the lowest in school history among pitchers with at least 300 career innings. A two-time Pac-12 All-Academic honorable mention, he is the seventh pitcher in school history with at least 47 starts. Kellogg was drafted in the fifth round by the Chicago Cubs. He was selected out of high school by the Toronto Blue Jays in the 12th round in 2012. Kellogg and Lillis-White of UBC shared the lead among Canucks with nine wins. Kellogg worked the most innings with 115, 16 more than Jeff Degano of Indiana State and Lillis-White. During his time at school he racked up more wins than any other Canuck -- in a three year span. Steve Carter and Shane Davis won more ... in four seasons. Kellogg pitched played for the Ontario Prospects for coaches Rob and Rich Butler. was a Canadian Baseball Network First team honoree in 2013-14 and winning CBN player of the year in 2013. Right-hander _ Phillipe Graham (St. Chrysostome, Que.) MidAmerica Nazarene Pioneers. The 6-foot-2 starter went 7-3 with a 2.13 ERA and two saves with 79 strikeouts in 72 innings. Winless in his first five outings he beat Park, Evangel, Central Methodist, Avila, Baker, Graceland and then Benedictine for seven wins in nine starts, which included a pair of three-game, winning streaks. He hit double-figure strikeouts three times against Park (10), Avila (10) and Graceland (11). Graham transferred from Seminole State College. He had the third lowest ERA among Canucks behind only UBC’s Curtis Taylor (1.02) and Donovan Feenstra (1.59) of Cumberlands. Graham pitched for Ducs de Longueuil. Black had 11 saves for Central Michigan going 3-1 with a 2.53 ERA. He walked 10 and struck out 24 in 32 innings. Black was tied for second-most saves with Madonna’s Bobby St. Pierre, one behind UBC’s Curtis Taylor. He had two saves against Stetson and Wichita State, as well as one each facing Florida Gulf Coast, Texas State, Rutgers, Miami, Eastern Michigan, Bowling Green and Western Michigan. Black, who pitched for the Hamilton Cardinals and coach Gord Thompson, as well as Schroeder Nicholls and Glanbrook legend Dean Dicenzo, earned Canadian Baseball Network First Team honors in 2013, plus Second Team honors in 2014. Catcher _ Owen Spiwak (Mississauga, Ont.) Odessa Wranglers. Of the first 19 games, Spiwak was hitless in nine. In the next 47 games he had 56 hits ... going hitless once. He finished with 75 hits: 17 doubles, three triples and eight homers while knocking in 54 runs. He hit .387 with a 1.074 OPS. He had eight games of at least three hits: including an RBI double in a 6-3 win over El Paso, with a double, triple and an RBI in a 14-10 win over New Mexico Military Institute, doubled, hit two homers and knocked in four in a 19-18 win against Midland, doubled and plated a pair in an 11-8 win against Clarendon, had four hits knocking in a run in a 14-9 loss to New Mexico Junior College, drove in a run in a 7-4 loss to Frank Phillips, doubled and drove in three runs in a 14-5 win against Western Texas, hit for the cycle and knocked in five runs in an 11-10 win over New Mexico Jr. College. And he had 15 two-hit games. Spiwak played for Team Ontario and then the Ontario Blue Jays and coach Dan Bleiwas. First base _ Kevin Czarnecki (Edmonton, Alta.) Fort Hays State Larks. Czarnecki recorded 30 extra-base hits in his senior season, leading the team in average (.415), doubles (17), runs (53), slugging (.737), total bases (126), and on-base percentage (.495), while driving in 41 runs. He ranked third in the Mid America Conference in average, fourth in doubles, and fifth in total bases at the end of the regular season. Czarnecki finished on an impressive 21-game hitting streak and 37-consecutive game streak of reaching base. He also led the team in multi-hit games with 27. He finished at FHSU with a .384 average, 126 hits, 25 doubles, 20 home runs, and 84 RBIs. The honors flowed for Czarnecki: Second Team Mid America Conference honors and is now a two-time All-MIAA selection after earning an honorable mention nod at third base in 2014, Daktronics All-Central Region, National Collegiate Baseball Writers Association All-Central Region Second Team and Daktronics All-America Third Team honors. Czarnecki had the third high average trailing Bard’s David Schlosser (.425) and New Mexico’s J.P. Rousseau (.420). Czarnecki, who played for Cam Houston at the Prospects Academy before heading off to Garden City a la Dayton Moore, earned Canadian Baseball Network Second Team honors in 2014. Second base _ Josh Croft (Powell River, BC) San Jacinto Gators. San Jacinto beat Angelina 4-1 to win the right to reach the NJCAA World Series at Grand Junction, Col. The Gators went 2-2 before heading home. 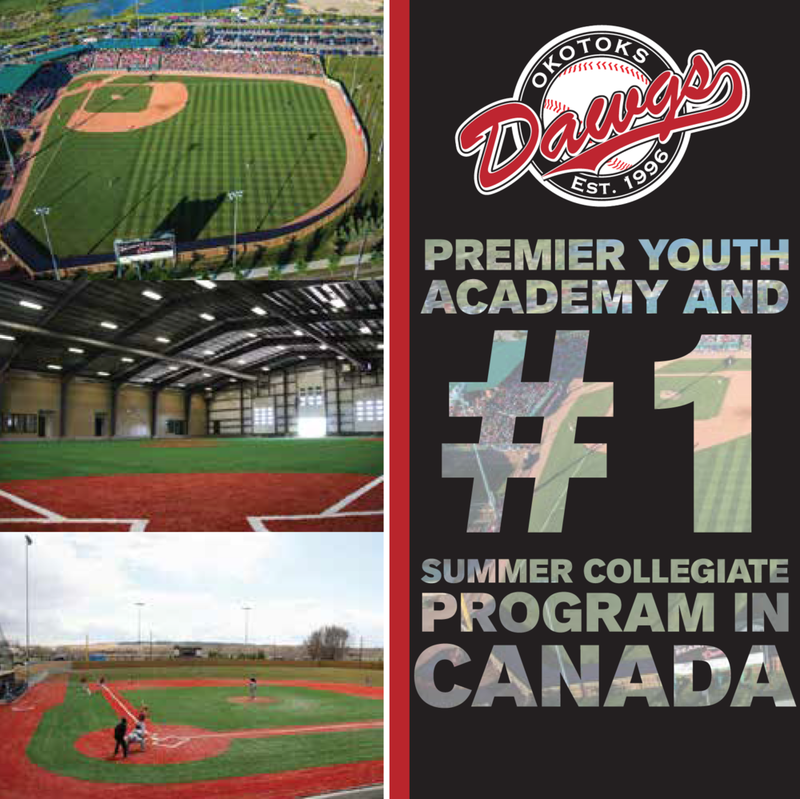 Croft played with the Parksville Royals coached by Dave Wallace and the Okanagan Athletics and coach Evan Bailey, earning Canadian Baseball Network Honourable Mention in 2014. Third base _ Mitch Holgate (Windsor, Ont.) University of West Alabama Tigers. Holgate batted .342 in 50 games with nine doubles, four triples, 11 homers and 45 RBIs. He had a 1.043 OPS. Holgate highlights included multi-hit games like: two RBIs against Palm Beach Atlantic, three with a triple and an RBI against Miles, three including two solo homers against Delta State, a homer and two RBIs against West Georgia, a pair against Lee, three with an RBI double playing Valdosta State, two against Valdosta, three against Mississippi College with four RBIs, an RBI double against Mississippi, three RBIs playing Shorter, an RBI against Union, two RBIs against West Florida, an RBI double playing Montevallo, an RBI facing Alabama-Huntsville, four against Huntsville with a triple, two homers and four RBIs, three with an RBI facing Huntsviille and an RBI double playing Delta State. He earned All-Gulf South Conference First Team honors. Holgate, who played for Richard Solomon with the Windsor Selects and Al Bernacchi with the Windsor Juniors, earned Canadian Baseball Network First Team honors in 2014 as DH. Shortstop _ Brad Antchak (Delta, BC) Northeastern Oklahoma A&M Golden Norse. Antchak hit ,364 in 44 games with 13 doubles, three triples, 10 homers and 55 RBIs. He finished with an OPS of 1.111. He earned First Team All-Region honors and was awarded a Gold Glove as well. Antchak was 5-for-5 with a double, homer and two RBIs in a 13-5 win over Arkansas Baptist and he had three hits including a pair of doubles and an RBI in a 14-9 win against Eastern Oklahoma State. Antchak, who joined coach Roger Ward at Northeastern Oklahoma A&M, after playing for coach Gerry White with the North Delta Blue Jays, took Canadian Baseball Network Third Team honors in 2014. Outfield _ Cole Bauml (Fort Saskatchewan, Sask.) Northern Kentucky Norse, Jacob Robson (Windsor, Ont.) Mississippi State Bulldogs and Liam Goodall (Nanaimo, BC) Embry-Riddle Eagles. Bauml led Northern Kentucky with a .350 average to go along with a team-leading 57 hits, 34 runs scored, eight home runs and 108 total bases. He drove in 22 runs and successfully stole 14 bases in 15 attempts in his senior year. He would have led the nation in doubles per game (.60) if NKU players were able to be included in the national stats as the Norse continue their reclassification process. Bauml’s 25 doubles came despite missing two weeks with an injury, which would tie for sixth nationally. Over his two-years with the Norse, he was in 87 games including 41 starts this season. He recorded a .343 average to go along with 43 doubles, 15 home runs and two triples. He collected 60 RBIs and 63 runs scored, and stole 21 bases in 26 tries. He earned first-team All-Atlantic Sun Conference and All-Academic honors after a breakout senior season. Bauml, who played for Team Saskatchewan, coached by Greg Brons and Roger Anholt, as well as the Saskatoon Giants coached by Ron Bauml and Mark Dolan, also earned Canadian Baseball Network First Team honors in 2013 and 2014 and Honourable Mention in 2012. Robson played in all 54 games for Mississippi State, led in average (.324), runs scored (41), hits (60), stolen bases (21), at-bats (185), bunt singles (10) and multi-hit games (18), while finishing eighth in the SEC in stolen bases, 10th in on-base percentage (.436) and 12th in walks (37). He collected 34 hits in 30 SEC games, hitting 304 with 18 runs, 18 walks, eight stolen bases and four doubles while hitting .356 clip in non-conference contests. Robson earned Collegiate Baseball National Player of the Week reaching base safely in 13 of his 17 plate appearances on opening weekend. Hit by two pitches, he drove in a run against Cincinnati, was 3-for-4 with two walks, an RBI and a double and was 2 for 2 with two walks as MSU’s Opening Day centre fielder. Some of his better games included a 3-for-5 outing against Ole Miss an RBI, hitting .400 in a series against No. 1 LSU (4=for-10 with six walks, three stolen bases), had eight hits and two steals bases facing Arkansas and was 3 for 5 against the Marshall Thundering Herd stealing a Bulldog single-game high three bases in the victory Robson hit his first career home run, an opposite field shot to left in the ninth against the Kentucky Wildcats. Robson played with the Windsor Selects and Danny Bleiwas's Ontario Blue Jays. Goodall hit .358 with a team-best 83 hits, including nine doubles, six triples and three home runs, while driving in a team-high 59 RBIs and scored 52 runs while starting in all 60 games for the Eagles. On the base paths he went 17-for-19. He reached the 200-hit plateau for his career in a 15-6 win over Thomas at The Sun Conference tournament, driving in five on four hits against the Night Hawk. Goodall collected five RBIs on four hits against Florida Memorial. hit his first collegiate grand slam at Saint Leo and had three eight-game hitting streaks during the year. He earned Honorable Mention NAIA All-American, as well as second team CoSIDA Academic All-American, Daktronics-NAIA Scholar-Athlete and Academic All-Conference honoree and Eagles of Excellence Scholarship awardee honors. Goodall, who played for the Nanaimo Pirates and manager Doug Rogers, earned Canadians Baseball Network Honorable Mention honors in 2014. DH _ Ben Douglas (Moose Jaw, Sask.) McMurry War Hawks. Helped the War Hawks to the semifinal of the National Christian Athletic Central Region tournament, hitting .366 (49-134) in 40 games. He had 15 doubles, one triple and five home runs, while knocking in 33 runs and drew a team-leading 26 walks. He had a .604 slugging percentage and a team-best .472 on-base average. Douglas struck out four times in 163 plate appearances, roughly once every 41 times he stepped into the batter’s box. He had 13 multi-hit games, tying the school’s single game record with five hits (in a 5-5 tie against UT-Dallas). Douglas also had 12 games with multiple RBI, reaching safely a season-high 17 straight games, buoyed by a 15-game hitting streak. He graduated with a 3.83 GPA and earned American Southwest Conference Distinguished Scholar-Athlete award, third team Capital One Academic All-American. Douglas played for coach Les McTavish’s Vauxhall Academy Jets. Left-hander (tie) _ Donovan Feenstra (Calgary, Alta.) Cumberlands Patriots and Connor Lillis-White (Toronto, Ont.) UBC Thunderbirds. Feenstra had an amazing year coming off of surgery, compiling an impressive 2.32 ERA in conference play and he owned a 1.85 ERA overall. Feenstra had wins over Concordia-Michigan, Viterbo, Lindsey Wilson and Shawnee State. Toss out the four earned runs he allowed in 5 1/3 innings in a no decision to Pikeville and Feenstra would have had an 0.96 ERA. As it was he had the second lowest ERA behind UBC’s Curtis Taylor and his 1.02 mark. Feenstra earned Mid-South Conference Second Team honors and Daktronics-NAIA Scholar-Athlete honor. During his four years at Cumberlands, he was 12-6 with a 4.06 ERA in 41 games. He walked 79 and fanned 151 in 139 2/3 innings. Feenstra pitched for the Calgary Cubs and Pro Baseball Force learning from coaches Jim Lawson and Chris Reitsma. This spring the 6-foot-5, 220-pound Lillis-White was 9-4 with a 3.27 ERA in 15 starts. Lillis-White walked 42 and struck out 115 in 99 innings. The lefty had two wins over Concordia-Oregon and Thompson Rivers, plus one each against The Master’s, Simpson, College of Idaho, Oregon Tech and Corban. He had a six-game consecutive win stretch from Feb. 18 until a non decision against Melo (eight innings, one run) on April 11. Lillis-White was named UBC Male Athlete of the Year in 2014 going 9-0 with an 0.46 ERA. Lillis-White and Arizona State’s Ryan Kellogg shared the lead among Canucks with nine wins this spring. Lillis-White earned All-NAIA West Group Team conference honors. Lillis-White was second in whiffs among Canucks, 11 behind Indiana State’s Jeff Degano. He was tied with Degano of with 99 innings, 16 behind Arizona State’s Ryan Kellogg. A former Etobicoke Ranger under coach Denny Berni before joining coach Terry McKaig, Lillis-White earned Canadian Baseball Network Second Team honors in 2014 and honourable mention honors in 2012 as a reliever. Right-hander _ Devon Stewart (Maple Ridge, BC) Canisius. Stewart was a workhorse making 16 starts throwing 98 innings. He was 7-7 with a 3.83 ERA walking 24 and striking out 75. He finished his Canisius career with 24 wins, a 4.17 ERA and the second-most strikeouts ever by a Griffs hurler with 222. He completed his senior season in third-place with 72 strikeouts in the MAAC and was seventh in the conference in with a 3.65 ERA and tied for the conference lead in wins with seven. In his four years with the Blue and Gold he had five wins or more in each season. In 2012, he received the MAAC Rookie of the Year award as well as being named a Collegiate Baseball Freshman All-American. This past season Stewart was honored by the conference by being named to the All-MAAC second team. Stewart, who pitched for Jamie Bodaly and Doug Mathieson with the Langley Blaze, was a Canadian Baseball Network Honourable Mention in 2012. Reliever _ Bobby St. Pierre (Windsor, Ont.) Madonna Crusaders. St. Pierre, a transfer from Crowder, made his mark in his first season as a Crusader, setting a single-season record for saves with 11 ranking eighth nationally in total saves. He was 3-1 with a 1.59 ERA walking 10 and striking out 32 in 28 1/3 innings. He held opponents to a .180 batting average. Lindsay Wilson was his first victim on his save list followed by three against Concordia-Michigan, two facing Lourdes, plus one each against Siena Heights, Indiana Tech, Aquinas, Northwestern Ohio and Davenport earning Wolervine-Hooiser Conference honors. St. Pierre pitched for Team Ontario and coach Murray Marshall. Catcher _ J.P. Rousseau (Blainville, Que.) New Mexico Jr. College Thunderbirds. Rousseau batted .420 in 37 games with seven doubles and 14 RBIs. He had an 1.014 OPS. Rousseau’s most memorable game was a 7-6 win over the Western Texas Westerners in Hobbs, N.M. being in the midst of a strike-em-out, throw-em out triple play. He had the second highest average behind Bard’s David Schlosser (.425) among Canucks. Rousseau played for Les Ailes and the ABC and coach Joel Landry. First base _ Julian Johnson (Mississauga, Ont.) Columbia State Chargers. Johnson hit .344 with 11 doubles, two triples, 14 homers and 47 RBIs in 43 games. His OPS was a whopping 1.230 OPS. Johnson was second high among Canadians in home runs, one behind Cal-Pennsylvania’s David Marcus. He homered against Jackson State (three in one series), two each against Cumberland, Volunteer State and Chattanooga State, as well as one against Wallace State, Jackson State, Cleveland State, Southwest Tennessee and Dyersburg State. Johnson played for Team Ontario and Murray Marshall, as well as the Dundas Chiefs. 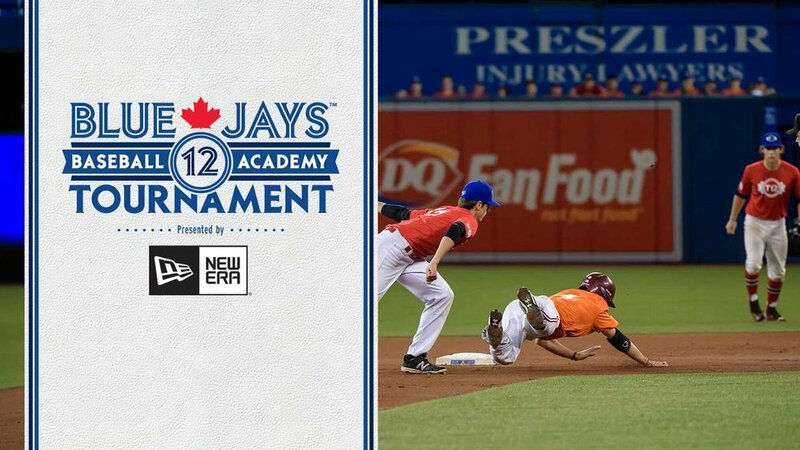 Second base _ Jake Lumley (Windsor, Ont.) Canisius. Lumley hit .331 with eight doubles, five triples, three homers and 39 RBIs in 63 games. Lumley earned Metro Atlantic Conference Player of the Week honors leading the Griffs in average and RBI during the five-game stretch. Lumley slugged his way to a .500 average (10-for-20). He also drove in 11 runs to help Canisius record two wins. Lumley contributed against Saint Peter’s recording nine hits and eight RBIs in taking two of three against the Peacocks. In the finale, Lumley was the key cog in the offense as he accounted for four hits, one a grand slam, along with seven RBIs. Lumley’s RBI total from Sunday’s 23-0 rout of Saint Peter’s set a career high for the second-year man. Lumley played for the Windsor Selects and coaches Joe Siddall, Chris Soulliere and Marv Lumley. Third base _ David Glaude (Quebec City, Que.) Missouri Western State Griffon. Glaude was impressive hitting .345 with 14 doubles, a triple, 12 homers and 44 RBIs in 60 games. He was 10-for-12 stealing bases. Glaude hit three homers against Fort Hays State, two against Southwest Baptist and Emporia State, plus one each facing Arkansas Tech, Harding, Lincoln, Pittsburg State and Missouri Southern. In the Fort Hays series Glaude hit .466 (7-for-15) with a double, three homers and seven RBIs. Glaude played for Capitales Junior de Québec. Shortstop _ Bryce Dimitroff (Burlington, Ont.) Connors State Cowboys. A big name on the gridiron -- Tom Dimitroff was a quarterback with the Ottawa Rough Riders, Tom Jr., Bryce’s uncle, is GM of the Atlanta Falcons -- Bryce showed all kinds of athletic mobility with Connors. Batting .375 with 10 doubles, a triple, two homers and 31 RBIs in 49 games with Connors State, he was 7-for-7 stealing bases. He had multi-hit games with a pair of hits in a 23-0 win over Bacone, a 10-3 loss to Iowa Central, a 4-3 win over Iowa Central, an RBI double in a 12-2 win against MCC-Maple Woods, a solo homer in a 2-0 win against Maple Woods, in a 7-1 win against Oklahoma Wesleyan, two RBIs in an 18-10 win against Coffeyville, a 12-2 victory over Ozarks, two RBIs in an 11-0 win against Southwestern Christian, with a double in an 11-5 win against Coffeyville, an RBI in a 12-4 win over Rose State, three hits in a 14-10 win against Rose State, including a double in a 6-3 win against Northern Oklahoma Enid, a double and a homer in an 8-3 win over Northeastern Oklahoma A&M, three hits in a 16-14 win against Northeastern Oklahoma, five hits including a double in 14-7 win over Northern Oklahoma Enid, an RBI with three hits in a 15-5 win over Arkansas Baptist and four hits in a 7-2 win against Arkansas Baptist. Dimitroff played for coaches Dan Bleiwas and Shawn Travers with the Ontario Blue Jays. Outfield _ Zac Wilson (New Lowell, Ont. ), Davenport Panthers, Byron Reichstein (St. Thomas, Ont.) Southern Arkansas Muleriders and Connor Bowie (Ancaster, Ont.) Mount Aloysius Mounties. Finishing second on the team with a .386 average with seven doubles, three triples and a pair of home runs while driving in 25 runs. He knocked in the winning run as Davenport edged Indiana Tech 5-4 in the Wolverine-Hooiser final. Wilson’s multi-hit games consisted of (two unless otherwise specified) four against Union, Cleary, three facing Warner, Concordia-Michigan, Lourdes, four against Lourdes, Marygrove, three facing Indiana Tech, Indiana Tech, four facing Indiana Tech, Cornerstone (twice). four against Northwestern Ohio, Northwestern Ohio, three off Siena Heights pitching, three more against Madonna, Oklahoma Wesleyan and St. Thomas. He earned First Team All-WHAC honors. Wilson played for Mike Siena, Jason Booth and John Milton with the Oakville Royals. Reichstein batted .380 with seven doubles, a triple, six homers and 28 RBIs for Southern Arkansas playing an instrumental role in the Muleriders winning the Great American Conference tourney. He homered against Harding, Arkansas Tech, in back-to-back games against Southeastern Oklahoma and again facing Harding. With the Muleriders leading Henderson State 3-2 in the fifth and the bases loaded, Reichstein doubled into right centre emptying the bases to give SAU a 6-2 lead. Reichstein played for the London Badgers and Mike Lumley. Bowie, the Alleghany Mountain Player of the Year, finished the season ranked first in the conference with 22 stolen bases and ended in a tie for second in the with eight home runs. He was tied for second in the with five triples and third with a .635 slugging percentage. Bowie added 53 total hits on the season and 33 RBIs as he batted .358 for the Mounties in 38 starts. Bowie was named AMCC Player of the Week and D3baseball.com National Team of the Week in April. He was also named to the D3baseball All-Mideast Region Team. Bowie, who was named to the All-Mideast Region Third team. A 2014 AMCC First Team All-Conference selection, earned all-region honors in 2014 with a First-Team spot on the ABCA All-Mideast Region Team. Bowie played for the Ancaster Cardinals and coach Jim Barta, as well as the Hamilton Cardinals and coach Gord Thompson, plus Schroeder Nicholls and the legendary Dean Dicenzo of Binbrook. DH _ Ryan Douse (Waterloo, Ont.) Erie Kats. Douse slugged .396 with eight double, a triple, a homer and 23 RBIs in 41 games. Erie lost at the NJCAA Region 3 Division III championship in Little Falls. Erie finished second after getting swept, 9-8 and 19-7 by Herkimer College, the nation’s top-ranked team. Erie started the tournament with a 9-8 win over Niagara County as Douse went 3-for-5. He played for the Waterloo Tigers and coaches Jason Marsiniak, Terry Gordner and Tyler Mulder. Left-handers _ Chris Boatto (Maple, Ont.) Alderson-Broaddus, Steven Dressler (Burlington, Ont.) Cisco, Brodie Harkness (Bowmanville, Ont.) Evansville. Voting (first-place votes in brackets): Degano (18) 129, Kellogg (16) 124, Feenstra (6) 64, Lillis-White (3) 64, Boatto (1) 20, Dressler (0) 7, Harkness (1) 5. Right-handers _ Jean-Francois Dionne (Trois-Rivers Que.) New Mexico Jr College, Alex Graham (North Vancouver, BC), Connor Noble (Vancouver, BC) Central Arizona, Adam Prashad (Mississauga, Ont.) Madonna, Alex Clavet (Laval, Que.) Monroe. Voting (first-place votes in brackets): Webb (20) 134, P. Graham (19) 126, Stewart (0) 34, Dionne (2) 30, A. Graham (0) 21, Noble (4) 20, Prashad (0) 18, Clavet (0) 9. Relievers _ Christian Botnick (Brampton, Ont.) Central Arizona, Matthew Beaton (Guelph, Ont.) Eastern Michigan, Chris Stodolka (Lethbridge, Alta.) Texas at Tyler, Travis Laitar (Fergus, Ont.) Cortland, Christian Botter (Vaughan, Ont.) Ohio, J.D. Moore (Mississauga, Ont.) South Dakota State, Jacob Gosselin-Deschesnes (Saint-Hyacinthe, Que.) Maine, Zach Pop (Brampton, Ont.) Kentucky, RHP Iannick Remmillard (Valleyfield, Que.) Canisius. Voting (first-place votes in brackets): _ Taylor (28) 157, Black (5) 72, St. Pierre 4 (56), Botnick (2) 32, Beaton (2) 26, Stodolka (1) 22, Laitar (0) 10, Botter (1) 8, Moore (1) 8, Gosselin-Deschesnes (0) 6, Pop (1) 5, Remmillard (1) 5. Voting (first-place votes in brackets) _ Robinson (30) 171, Spiwak (11) 131, Rousseau (3) 39, Sardellitti (0) 25, Mihic (1) 17, Firth 11, Harrison 8. Second base _ Mattingly Romanin (Burlington, Ont.) Chicago State, David Schlosser (Thornhill, Ont.) Bard, Grant Tamane (Pickering, Ont.) Rio Grande, Landon Briscoe (Vancouver, BC) Dickinson State. Voting (first-place votes in brackets) _ Thibideau (18) 110, Croft (11) 87, Lumley (7) 65, Romanin (3) 59, Schlosser (6) 47, Tamane (0) 19, Briscoe (0) 10. Third Base _ Raphael Gladu (Trois-Rivieres Que.) Galveston, J.D. Osborne (Whitby, Ont.) Polk State, Tanner Kirwer, (Sherwood Park, Alta.) Niagara, Carter McEachern (Thunder Bay, Ont.) Trinity. Voting (first-place votes in brackets) _ Panas (33) 185, Holgate (4) 87, Glaude (5) 77, Gladu (2) 17, Osborne (0) 12, Kirwer (0) 11, McEachern (1) 6. Shortstop _ Louis Boyd (North Vancouver, BC) Cochise, Griffin Andreychuk (Nanaimo, BC) Seattle, Thomas Rodrigues (Montreal, Que.) Niagara, Tanner Morache (Surrey, BC) Dixie State, Kyle Hann (Oakville, Ont.) St. Johns River State, Jonathan Roehler (Windsor, Ont.) Macomb, Sam Pelechanty (Martenville, Sask.) Rainy River. Outfield _ Phillippe Craig-St. Louis (Gatineau, Que.) Oregon, Philippe Berthiaume (Lac St-Charles, Que.) Seminole State, Michael Foster (Pickering, Ont.) Northeastern, Alex Thrower (Etobicoke, Ont.) Kansas City CC, Toby Handley (Whitby, Ont.) Stony Brook, Derek Jones (Brampton, Ont.) Oklahoma Christian, Nathan Ackerman (Langley, BC) Wayne State, Jordan Mountford (Guelph, Ont.) Bryant, Max Wood (Vancouver, BC) San Jacinto, Danny Beaver (Oakville, Ont.) Notre Dame College, Matthew Paculan (Mississauga, Ont.) Urbana, Brendan Rose (Calgary, Alta.) UBC, Jager Toffan (Regina, Sask.) Blinn, Tyler Enns (East St. Paul, Man.) UBC, Christopher Acosta-Tapia (Laval, Que.) Western Oklahoma State Pioneers. Voting (first-place votes in brackets) _ Graham (28) 173, Siddall (28) 171, Germaine (24) 153, Bauml (11) 102, Robson (12) 87, Goodall (2) 48, Wilson (3) 44, Bowie (4) 43, Reichstein (5) 42, Craig-St. Louis (4) 38, Foster (2) 37, Berthiaume (1) 36, Alex Thrower (4) 35, Handley (2) 35, Jones (3) 30, Ackerman (0) 28, Mountford (0) 17, Wood (0) 15, Beaver (0) 13, Paculan (0) 12, Rose (1) 8, Toffan (0) 8, Enns 7, Acosta-Tapia (1) 5. DH _ Josh Williams (Sherwood Park, Alta.) Hutchison, Manuel Bouffard (Quebec City, Que.) Monroe, Jordan Boston (Brampton, Ont. ), Dylan Moss (Mount Pearl, Nfld.) Fischer. -- Thanks to J.P. Molinaro, Mike Chewpoy and SIDs from all three times zones.